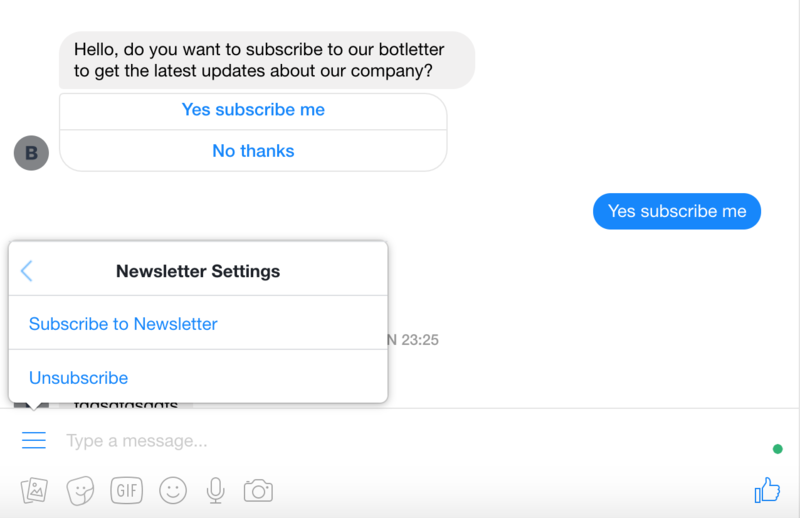 Every subscriber can unsubscribe using the hamburger menu at the bottom left of the Messenger window. They just have to click on "Newsletter Settings" and "Unsubscribe". They will also be automatically removed from your list if they write "unsubscribe" or "stop". You can also unsubscribe them manually in the Subscribers dashboard.